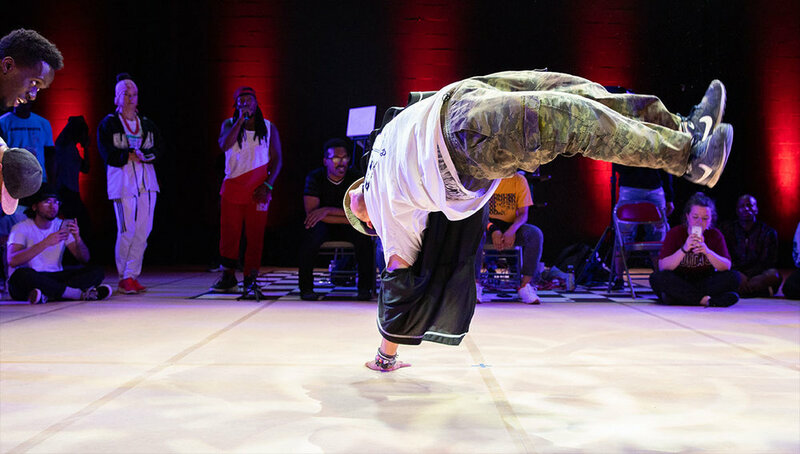 A festival celebrating the power & strength of hip-hop and street dance culture, featuring workshops, performances, panel discussions and a community dance jam and competition. Friday, April 5 | 5–6 p.m.
Saturday, April 6 | 1:30-8 p.m.
B-Series Fall 2018, photo by Daniel Livingstone. B-Series, Fall 2018, photo by: Daniel Livingstone. B-Series, Fall 2018, photo by Daniel Livingstone.